Teeth whitening, also known as dental bleaching, can whiten and lighten dark teeth with stains. Tooth whitening can make teeth appear brighter and lighter, and is an increasingly popular part of cosmetic dentistry. You may have seen a lot of commercials or advertisements on TV on teeth whitening: people with gorgeous smiles and bright white teeth. What is it exactly? Does it actually work? The dental bleach found in professional whitening products contains carbamide peroxide that reacts with water to form hydrogen peroxide. The peroxide penetrates the outer enamel of the teeth, and thus bleaches and whitens the dark stains in the inner dentinal layer. Some products like ZOOM bleaching uses a light which may help accelerate the bleaching process. The result is the value and chroma of the teeth are changed, hence “whitening” the tooth’s color and shade. It’s generally safe, quick, and inexpensive. Depending on your desires you can whiten only your upper teeth, or just just your lowers, or both the upper and lower teeth. What Causes Teeth to Stain and not be White? Foods and drinks are common culprits of mild intrinsic and extrinsic dark black and/or gray stains (i.e. sodas with caramel and phosphoric acid, red wine, coffee, tea, some spices, soy sauce, blueberries, betel nut). Some medications can also cause teeth to discolor and stain or turn yellow with grayish striations (i.e. amoxicillin, tetracycline, some blood pressure medications). There are many over the counter whitening products found in the drug store and pharmacy. Whitening strips. These strips are preformed, and have a internal coating of whitening gel inside the strips. These bleaching trips are placed directly on top of the teeth and worn overnight. The gel composes of hydrogen peroxide, and is effective against yellow stains and moderately discolorations and stained teeth within the enamel. Whitening toothpaste. Whitening toothpaste generally removes mild surface stains by using a chemical that breaks down extrinsic stains, and by containing a mild abrasive that helps polish the teeth. Some whitening toothpaste contains blue covarine, which may produce quick results. In general one would use whitening toothpaste twice a day for a duration of four to six weeks to achieve results, and may be effective against such light stains caused by coffee drinking or smoking. Paint on Whitening gels. Such gels are purchased in the store, and generally is the least effective method of teeth whitening. Using hydrogen peroxide, the gel is applied to the tooth with a small brush. The gel forms a light whitening layer on top of the teeth enamel, and breaks down light stains on the enamel. Aside from the store bought products, your dentist may offer two professional methods to lighten your teeth. The first professional method is for the dentist to make custom bleach splints for your teeth. The dentist or dental assistant will take molds of your teeth via an alginate impression material, and make thin and soft custom durable covering/splints. Along with these trays, you’ll be given a supply of carbamide peroixde teeth whitening gel to use at home. The carbamide peroxide has a typical concentration of 10-20%, and helps whiten lightly to moderately stained dark and yellow teeth. The gel is then applied in the bleachtray and worn overnight, as the gel is active for 8-10 hours. This process is repeated every day for a few hours, or during bedtime until you get the desired result, which usually takes two to three weeks. The second professional method is the same day in-office ZOOM and BOOST bleaching systems. With the increase in advanced bleaching technology, dental offices are usually able to professionally bleach and significantly lighten your teeth in one visit. Via ZOOM or BOOST, this method utilizes a highly concentrated 38% hydrogen peroxide gel and is precisely delivered onto the tooth’s enamel over a series of repeated applications. The hydrogen peroxide gel penetrates deep inside the enamel, and helps lighten dark yellow and grayish stains, and in process brightens the teeth. A whitening lamp or light may also be used to help accelerate the whitening process. BOOST contains potassium nitrate and fluoride to help decrease sensitivity, and also help lowers the risk of tooth decay. This same day in-office teeth whitening method typically achieves the most significant results due to the high bleaching concentration and gel component. Yes, in general teeth whitening is safe and has few contraindications. Whitening is generally not recommended for those with active periodontal disease and dental decay, as the whitening gel may causes inadvertent sensitivity issues with the gums, enamel, and dentin. And as such, tooth caries and periodontal disease (i.e. gingivitis and periodontitis) have a higher treatment priority. Mild sensitivity to cold is the most common side effect, and will usually decrease immediately after the bleaching process is stopped. Sometimes the bleaching agent can cause a mild burn and irritation to the adjacent gums and gingival tissues. This burning sensation will typically resolve in 1-2 days. Though no guarantees can be made on the effectiveness of teeth whitening, in general yes, professional in-office teeth bleaching works and is effective at removing dark yellow stains. Your dentist will take a preoperative shade and a post operative shade to determine the number of shades it has lightened. In very severe cases of extreme internal dark staining or discoloration (ie. tetracycline stains, intrinsic enamel and dentin defect) porcelain crowns or veneers may be more appropriate. 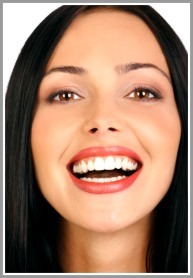 If you have any questions about teeth whitening and cosmetic dentistry for call us at (425) 614-1600.